Tooth decay is one of the most common dental issues that is addressed during dental exams. If you are having troubles with decaying teeth or cavities, you may want to make an appointment with your local dentist. 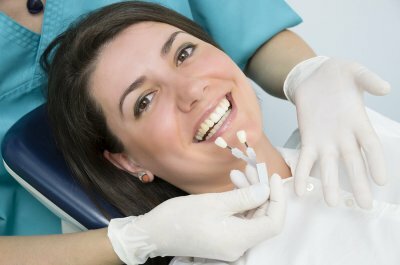 A dentist offering dental X-rays and other procedures serving Hazlet can diagnose and treat any cavities or other forms of decay that may be affecting your smile. To help you gear up for your next trip to the dentist, here are some questions that you can ask your dentist about tooth decay. 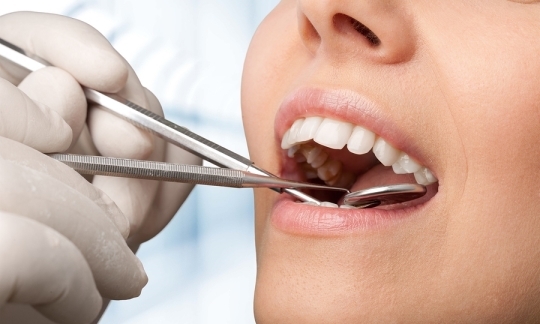 When you visit your dentist, you may want to ask about the most likely causes of tooth decay. In fact, tooth decay is caused by the buildup of acid producing bacteria in your mouth. As these bacteria build up around your teeth and gums, they will start to eat away at the enamel of your teeth. Eating certain foods and neglecting oral hygiene can speed up the formation of decay in your teeth. What Are Some Signs of Tooth Decay? In order to prevent an oral health emergency, you may also want to ask your doctor about some of the most common signs of tooth decay. For example, if you have a cavity, you may find that an area of your mouth is very sensitive to hot or cold. Since many cavities form without symptoms, it is also important to schedule routine dental exams. Prevention is key when it comes to avoiding tooth decay issues. In order to prevent tooth decay, you will need to brush your teeth at least twice a day and floss regularly. You can also help prevent tooth decay by making sure to visit your dentist biannually. When you are scheduling your next dental exam, be sure to call Glenwood Premier Dental at (732) 847-9224. Dr. Mark Wassef, DMD, is thrilled to provide the Hazlet area with state-of-the-art dental services, and we can help you keep your smile healthy and brilliant. With the amount of dental treatments available, it can be hard to keep all of them straight. Inlays, onlays, and crowns are all forms of restorative care that your dentist can use to improve the look and function of your teeth. Inlays are a dental innovation that offers patients an alternative to traditional fillings. Amalgam fillings create unattractive dark spots in your teeth that can detract from the appearance of your smile. Inlays, on the other hand, allow you to enjoy a beautiful set of teeth, even if you have cavities. These restorations repair the chewing surface of your teeth and are typically made of composite resin or porcelain, but are also available in gold. Resin and porcelain inlays are made in a shade to match the color of your natural tooth to help preserve the healthy appearance of your smile. Inlays allow your dentist to save more of your natural tooth structure and are more durable than metal fillings. While inlays are designed to fill cavities in the center of a tooth, onlays are used to repair decay that affects more of the tooth’s surface, and can be described as sitting on top of the tooth, rather than in it. Both inlays and onlays are created by a machine and fit precisely with your damaged tooth, unlike fillings, which are shaped in or on your tooth. For teeth that have suffered severe decay or damage, dentists often recommend crowns as part of their treatment. Dental crowns sit like a cap on top of what remains of your natural tooth structure. These restorations are frequently used to support weakened teeth, hold dental bridges in place, restore worn or cracked teeth, cover dental implants, and protect teeth following root canal treatment . Crowns can be made from ceramic, resin, porcelain, and metal. Glenwood Premier Dental specializes in a broad range of services for restorative care in Hazlet, including laser dentistry. To schedule your free dental consultation, give us a call at (732) 264-4477.